2018 was a HOT year for Western States 100. All runners experienced ups and downs....literally and figuratively. Despite the blistering hear, 2018 had the highest finish rate since 2012, which had record LOW temperatures. Jim Walmsley broke Timmy Olsen's fastest time set in 2012. Courtney Dauwalter laid down the second fastest women's time in her debut. At 5:00am PDT, the shotgun will sound in Squaw Valley unleashing 379 fortunate runners on their 100.2 mile journey to Auburn. Andy Jones-Wilkins and Sally McRae join The Nation to review the race and teach us who to watch. We wish all 379 the a best performance and experience that they will never forget. Billy Yang's Video that you should watch before any of your races. French runner, Emy LeComte is toeing the line at the 2018 Western States 100. She has an impressive resume including a 2014 win at Tour Des Geants. In addition to her first trip at Western States 100, she will also be participating in the 2018 UTMB. Don and Bob Crowley get some valuable tips from Emy as they are preparing for their shot at Tour Des Geants. 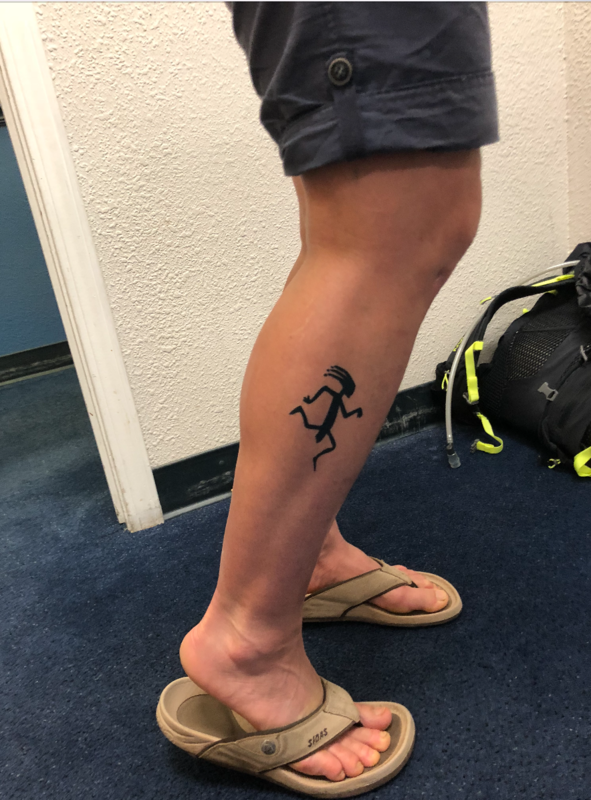 Emy is not taking any chances at Western States. She will be powered by the PEK! Andy Jones-Wilkins and our Irish lucky charm, Donna Nì Cuarta, join us from Tahoe to plan Fact or Fiction, a fun conversation of common (and not so common) myths related to running, endurance, and health. Andy is in Tahoe participating in a CTS Ultrarunning camp and Donna is acclimating to the area as she prepares to run Western States 100 in a couple weeks! Phil's article, "Interpretation of Daydreams"
We begin the podcast with a review of Chapter 26 of "The Big Book of Endurance and Racing", called, "The Pain Game and How to Control It".